It’s only been 15 or 20 years since high-end tequilas began to compete against Cognac and single-malt Scotch for supremacy among world-class sipping experiences, with often outstanding and highly accessible results. Already by far the best known premium tequila in the U.S., Patrón is upping their game even more with a new line of super-premium boozes, Roca Patrón, named for the stone wheels used to extract the juice of the blue agave plant. Unlike añejos and reposadas, silver (aka white) tequilas are un-aged and generally best used for cocktails and shots. 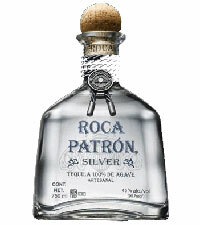 At an MSRP of $69.00, however, Roca Patrón Silver is definitely no freshman-year bender fodder and a great gift for the man or woman who’s sipped nearly everything. The Patrón people describe the flavor as sweet, “with notes of black pepper, pumpkin and lime tea.” We taste mainly the honey-like flavor of the agave, but isn’t that the whole point of quality tequila? Not too stuffy to accompany a little grapefruit soda or perhaps even a perfectly a well-balanced classic margarita (shaken, not blended! 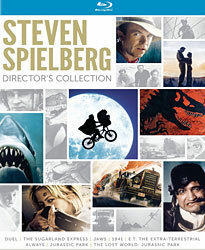 ), this definitely qualifies as not just the good stuff, but the very good stuff. Aged Roca Patrón Reposada and Roca Patrón Añejo are available at commensurately higher price tags. Once maligned by the ignorant, tequila has emerged as every bit the equal of whiskey, gin and, yes, Cognac, as the basis for a truly tip-top cocktail – and we don’t just mean a classic margarita either, as marvelous as those can be. Now, the biggest name in premium tequila is marketing its own variation on one of the ultimate cocktail classics, the Añejo Manhattan, which substitutes aged tequila for the usual bourbon, rye or Canadian whiskey. 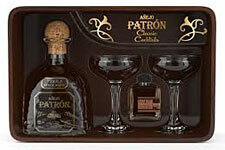 This set (MSRP $54.99) includes a bottle of flavorful mellow Patrón Añejo, two very sturdy, large coupe glasses (a more rounded old-school variation on today’s standard martini glasses) and Dashfire Brandy Old Fashioned Bitters. The latter is a tantalizing alternative to standard Angostura aromatic bitters with a strong accent of smokey cloves; no self-respecting Manhattan is remotely complete without bitters, and this artisanal brand is an outstanding choice. All your giftee needs to add is a cocktail shaker/mixing glass, some sweet vermouth (ideally Carpano Antica), lots and lots of ice, and we’re off to the races! A strong gift selection for any open-minded cocktail enthusiast. Marathons have become increasingly more popular over the last few years, and whether you’re a serious runner or just do it for fun, having the right gear is essential. While most people tend to stick to popular brands like Nike and Adidas, it’s better to buy from a specialty company like Brooks Running, who offers an entire catalog of products designed specifically with runners in mind. Footwear options range from the PureFlow 3, a lightweight shoe with a more rounded heel and repositioned Toe Flex to better align your stride, to the award-winning Cascadia 9, which is better suited for trickier terrain thanks to its 4-point pivot posts and a BioMoGo DNA midsole that adapts cushioning to your feet and the surface beneath. Both styles come in a variety of bold colors, and the same goes for all the apparel as well, including the water-resistant Infiniti Jacket IV, the retroreflective PureProject Jacket (which is both wind- and water-resistant) and the moisture-wicking Infiniti Tight III. 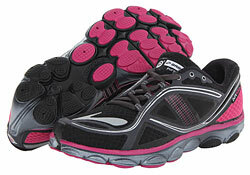 After giving our wives the chance to test out some of the gear provided by Brooks Running, the verdict was unanimous: if you care about function and quality, this is one brand that every runner should add to the top of their wish lists. 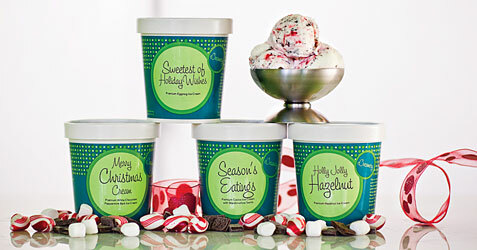 We’re avid believers that ice cream is great no matter what time of year it is (especially for those whose winters actually feel like, well, winter), and the folks at eCreamery.com have created the perfect gift for the holidays: create-your-own ice cream, gelato and sorbet with customized labels on the packaging. All you need to do is select your base, main flavor and mix-ins, and then give your new creation a name. We made a custom ice cream (Cinnamon with Chocolate Covered Pretzels) and gelato (Cheesecake with Strawberry Swirls and Chocolate Chunks), and both were incredibly delicious, especially the latter, which is one of the best frozen treats we’ve ever sampled. There are over 40 flavors and 30 mix-ins to choose from, and the quality is definitely a step up from your typical store-bought ice cream, but it comes at a price, with four pints (the smallest possible order) costing a whopping $59.99, and that doesn’t even include shipping. While that may seem pretty steep for ice cream, eCreamery’s custom pints make for a really unique gift that’s worth splurging for at least once. After creating one of the most successful video game franchises in history, Bungie could have done pretty much whatever they wanted for their next project and it would have undoubtedly been a massive hit. Thankfully, the team behind the “Halo” series hasn’t strayed too far from its roots with this sci-fi first-person shooter, although it’s certainly a different experience due to the incorporation of role-playing and MMO elements. But while you can do things like upgrade your character’s abilities, weapons and armor, or team up with fellow players (via Bungie’s matchmaking system) to complete missions, the game is still very much a shooter at heart – one that has the benefits of co-op multiplayer without making you feel like you can’t play and progress at your own pace. 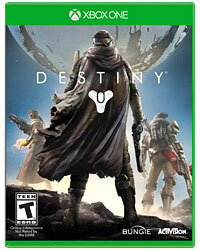 The story doesn’t dig as deep into the post-apocalyptic premise as we would’ve liked, and the gameplay can get a bit repetitive at times, but “Destiny” is a deceptively enjoyable shooter with fantastic visuals, an addictive multiplayer mode and an open-ended structure that allows Bungie to continue to provide new content for many years to come. Most video game sports franchises have gotten to the point where the truly innovative features are less about what’s on the surface than what’s underneath, and “FIFA 15” is a perfect example of how subtle changes can still make a world of difference. 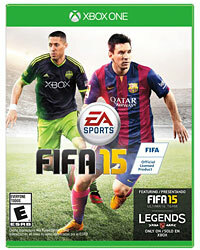 Though it plays very similar to last year’s edition, “FIFA 15” has gone one step further in bridging the gap between a video game and the real thing. Slide tackles and boot marks are visible on the pitch, the surface becomes more weathered as each match progresses, and crowds behave differently according to their specific club or country. Gameplay has received a few upgrades as well, including the ability to control teammates during set pieces, improved push/pull mechanics during man-to-man battles, and more accurate ball movement. There’s also a brand new intelligence system for goalkeepers that allows them to better anticipate shots and passes, while players now recognize situations (whether it’s a hard tackle or a series of bad fouls) that trigger an emotional response. And believe it or not, that’s just a taste of what “FIFA 15” has to offer, because this is arguably the most comprehensive digital soccer experience yet. Can it really have been way back in 2006 when we put “The Wonder Years” at the top of our list of the 15 shows that we most wanted to see released on DVD? 2014 has been a damned good year for that list – now that “Batman” and “WKRP” are finally available, the only things left that we’re still waiting to see released are “Sifl & Olly” and “Ed” – but nothing’s made us as happy as the arrival of a miniature locker containing two faux Trapper Keeper notebooks filled with 26 discs worth of “The Wonder Years.” In addition to the 115 episodes, there’s also over 23 hours of bonus material, including footage from the recent cast reunion, tons of interviews with cast, creators and numerous guest stars, 10 newly-created featurettes, and outtakes from the filming of Kevin and Winnie’s first kiss…which, in case you didn’t know, was also Fred Savage and Danica McKellar’s first kiss as well! Lastly, when you pop open the locker – don’t worry, there’s no lock, so you don’t need to memorize a combination – you’ll also find a hardcover “yearbook” filled with behind-the-scenes pictures and notes from the cast. It’s so totally worth the wait. Whether you grew up in the late 60s when it originally aired, or watched the reruns that played throughout the following decades, chances are that the “Batman” TV series was a big part of your childhood. One of the best things about the show is that it operates on multiple levels, so whereas you were attracted to the suspense, action and colorful production design as a kid, when revisiting the series as an adult, you’re able to enjoy the subtler, campier aspects. It certainly helped that it had such a game cast, from stars Adam West and Bruce Ward, to its cavalcade of villain guest stars – most notably Frank Gorshin, Cesar Romero, Burgess Meredith and Julie Newmar – all of whom understood exactly what kind of show they were making. 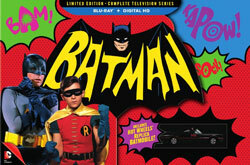 “Batman” is one of the few classic TV series that still holds up today, which is why it’s so surprising that it took this long for it to be released on Blu-ray. The new digital restoration looks fantastic for a show that’s nearly 50 years old, with all 120 episodes presented in their original 1.33:1 aspect ratio. 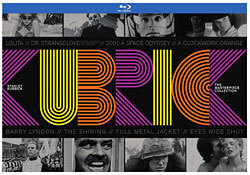 The Blu-ray set also comes with hours of bonus material, including a retrospective on the show’s production and its legacy, a roundtable discussion with West and other Bat-fanatics, the original “Batgirl” pilot, screen tests for West and Ward, as well second-choice Lyle Waggoner (Batman) and Peter Deyell (Robin), and much more. And as if that wasn’t enough, it also comes with a Hot Wheels replica Batmobile, while the box itself plays the “Batman” theme song. Holy Fan Service, Batman!